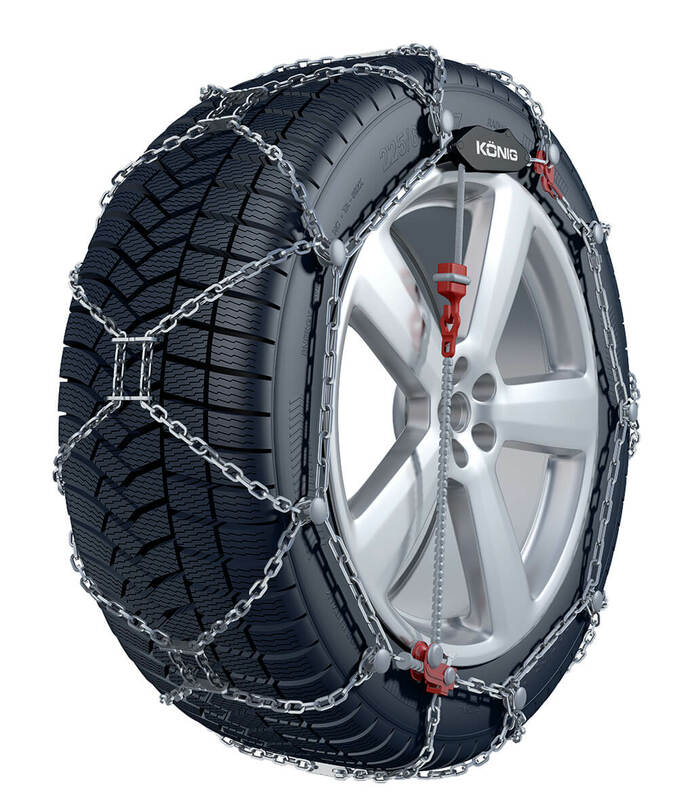 The Thule/Konig XG12 Pro has been designed to cater for SUVs and 4 x 4s where clearance problems would normally prevent standard snow chains being fitted. With a maximum of 12mm projection on the top of the tread and on the inside of the tyre it fits where it is impossible to fit larger chains. However this doesn't mean you get less grip since the XG12 Pro incorporates special welded double traction plates to increase performance on snow. Tensioning is simply achieved thanks to its Micro-regulation system that ensures perfect tensioning of the chain. Thule/Konig XD12 Pro snow chains are supplied as a pair in a neat plastic carrying case that can be stored in the boot of your vehicle. Homologations/certifications/conformity: O-Norm 5117, O-Norm 5119, UNI 11313 / CUNA, TUV. 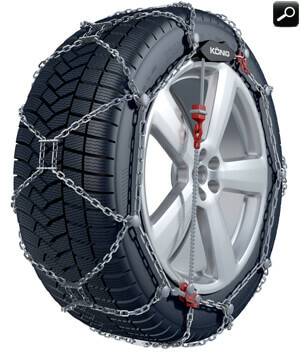 If you change your car and need a different size or type you can take advantage of our unique Thule/Konig XG-12 Pro snow chain exchange service.